Organic Green Tea Powder to tea lovers. TeaVivre pays attention to different demands of customers. We keep enriching our product line with various kinds of teas. We recommend the Organic Green Tea Powder to tea lovers. Early in Tang Dynasty (618–907), Chinese people invented the steamed green tea – known as 碾茶 (niǎn chá: green tea leaves crushed into small pieces). It is the forefather of matcha – the Japanese tea we known today that is milled into powder from Niancha. 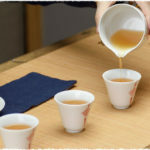 The fresh tea leaves of making Green Tea Powder is from the Jiukeng tea trees. It is also known as Jiukeng large leaf species, seeding family, bush, mainly distributes in Chun’an, Kaihua in Zhejiang Province and Shexian in Anhui Province. In 1985 it was verified as a national specie of number GS13023-1985 by the National Crop Variety Certification Committee. 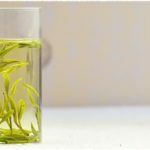 The spring tea has one bud and two leaves, and contains about 3.4% of amino acid, 20.9% of tea polyphenols, 13.3% of catechin and 4.1% of caffeine, which is suitable for making green tea. 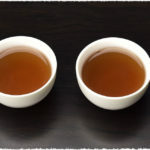 The dry tea is green bloom, with strong aroma and heavy flavor.